Drawing upon Foucauldian analyzes of governmentality, the authors contend that social housing must be understood according to a range of political rationalities that saturate current practice and policy. They critically address the practice of dividing social from private tenure; situating subjects such as the purpose and financing of social housing, the regulation of its providers and occupiers and its relationship to changing perceptions of private renting and owner-occupation, within the context of an argument that all housing tenures form part of an understanding of social housing. They also take up the ways in which social housing is regulated through the invocation and manipulation of obscure notions of housing ‘need’ and ‘affordability’, and finally, they consider how social housing has provided a focus for debates about sustainable communities and for concerns about anti-social behaviour. 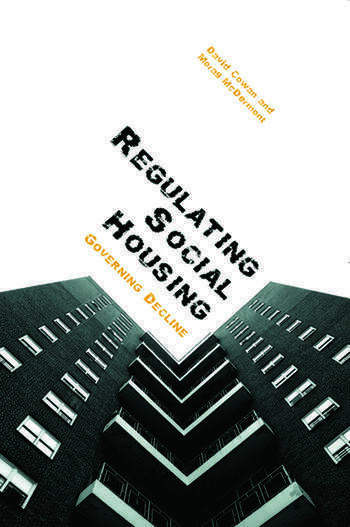 Regulating Social Housing provides a rich and insightful analysis that will be of value to legal scholars, criminologists and other social scientists with interests in housing, urban studies and contemporary forms of regulation.